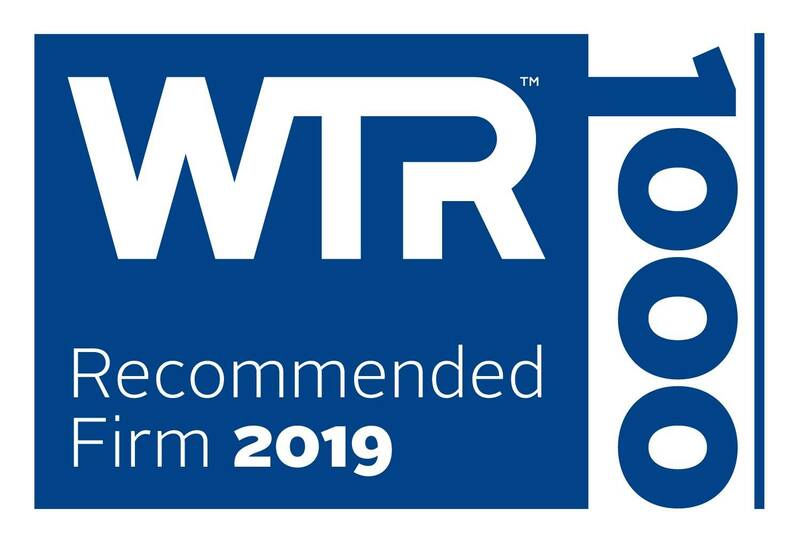 World Trademark Review recently released the “2019 WTR 1000” for the world's leading trademark agencies, and NTD is recognized as the “Gold Band” agency for trademark prosecution and strategy, and as "Bronze Band”agency for trademark enforcement and litigation in China. Christopher (Chunxiang) SHEN, Senior Partner, wins applause for his perseverance in settling disputes, and high-level performance in anti-fraud judicial cases. With extensive experience, Aidi GE, Senior Partner, is skilled in providing services for IP strategy, combined with Chinese business environment on account of individual demands of our clients. Under her leadership, NTD’s trademark team is recognized by our clients as“to response quickly and win the trademark litigations. 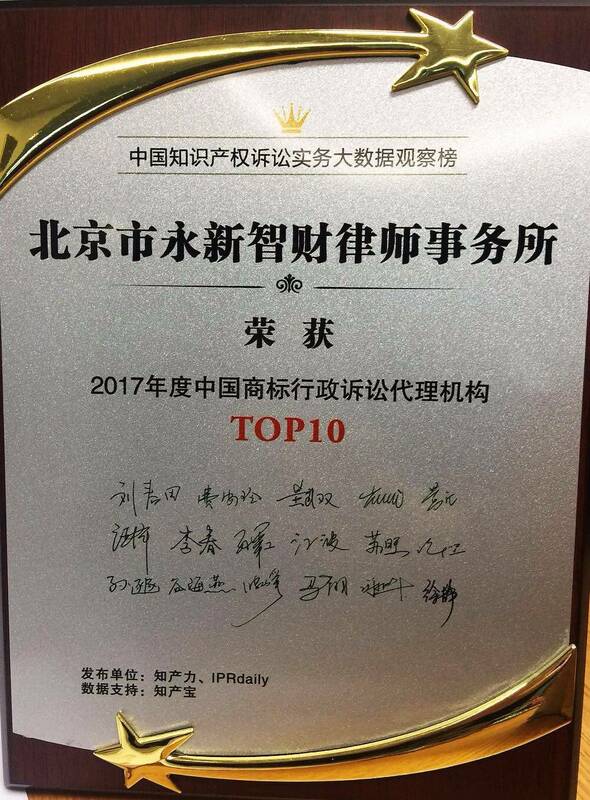 On August 9, 2018, Zhichanli and IPRdaily jointly released the “List of Big Data on Intellectual Property Litigation Practices in 2017”, and NTD was awarded with “2017 China Trademark Administrative Litigation Agency TOP 10” . In 2018, NTD was again awarded "Highly Recommended Firm" in patent prosecution and "Bronze Firm" in Patent Litigation and Transaction. Heather LIN and June WANG, Senior Partners, were among the "Leading Individuals" in patent prosecution. 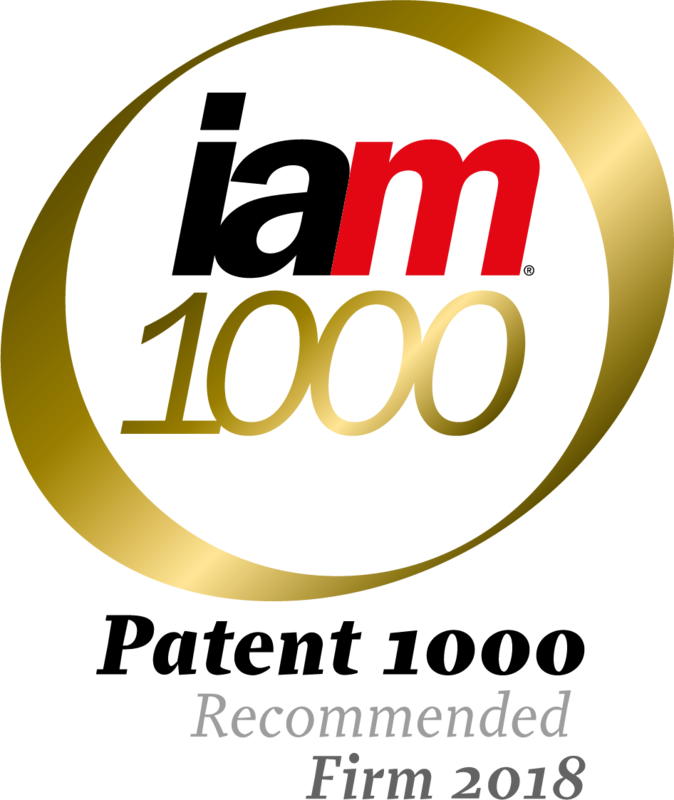 Christopher Shaowei was among the "Highly Recommended Leading Individuals" in patent litigation. In the 2018 annual rankings released by Managing Intellectual Property (MIP), Christopher (Chunxiang) SHEN, Senior Partner of NTD, was awarded “Trademark Star-China”. NTD was also ranked in Tier 2 for patent and trademark prosecution, Tier 3 for patent disputes Tier 4 for trademark disputes. 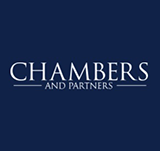 NTD is ranked as "Band 2”in non-litigation and "noted firm”in litigation of intellectual property in China by 2018 CHAMBERS AND PARTNERS ASIA-PACIFIC Guide. Christopher Shaowei, Senior Partner, is ranked "Band 3 " in intellectual property litigation. 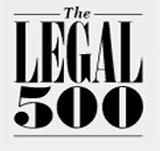 NTD is recognized as Tier 2 in the ranking released by The Legal 500, an agency providing the most comprehensive worldwide coverage on recommended Law firms, Lawyers, Attorneys, Advocates, Solicitors and Barristers. Christopher Shaowei, Senior Partner, is listed among the“Leading Individuals”. 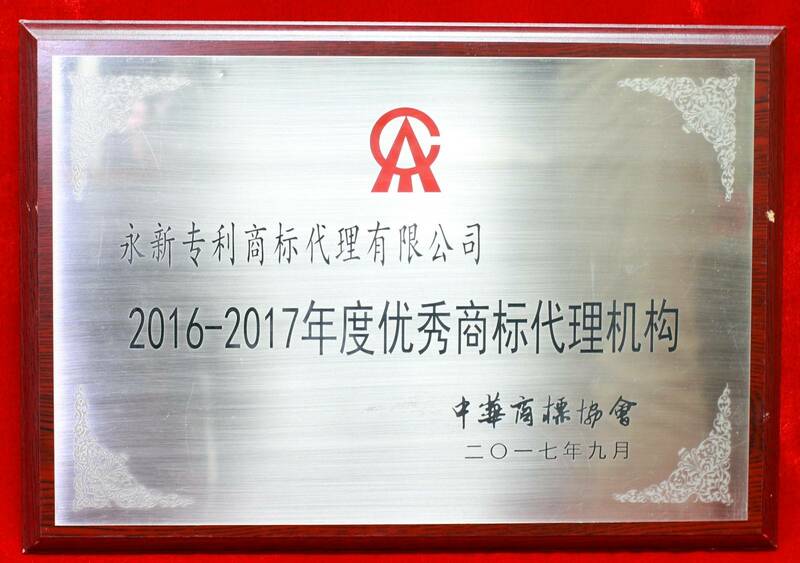 At the 2017 China Trademark Festival (CTF 2017), hosted by China Trademark Association and the Administration for Industry and Commerce under Guangxi Zhuang Autonomous Region in Guilin from September 1 to 4, 2017, NTD was awarded for the 7th consecutive year "Excellent Trademark Agency". 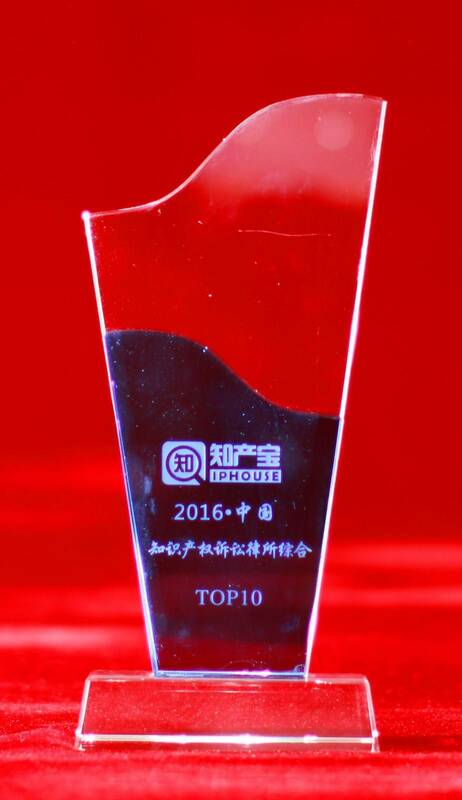 On June 23, 2017, the list of “2016 Top 10 Chinese IP Litigation Agency” was released in Beijing. 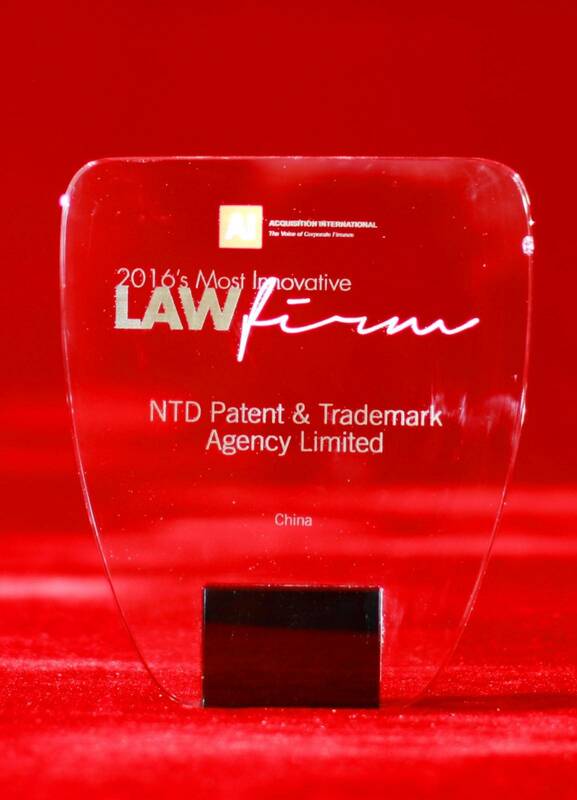 For the second year, NTD was among the list of “Top 10 Chinese IP Litigation Agency” and “Top 10 Chinese Trademark Administrative Litigation Agency”. The list was issued second time by the IPHOUSE, a famous domestic institute providing IP related legal database and services, and it was based on all IP cases concluded by Chinese courts from January 1 and December 31, 2016. NTD was recognized as "Most Innovative Law Firm of China" in the 2017 Global Legal Award hosted by the Acquisition International. 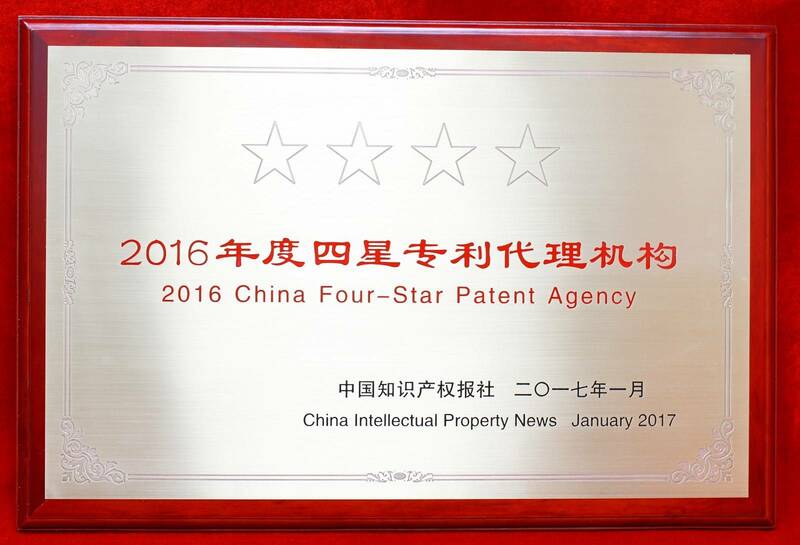 On January 16, 2017, at the Conference on Comprehensive Strength Evaluation of Chinese IP Agencies and Innovation-Oriented Patent Service Industry” hosted by China Intellectual Property News, NTD was awarded Four-star Patent Agency. June WANG, Senior Partner, was awarded “our Star Agent”. Nan ZHANG, Patent Attorney, was among of the list of “Three Star Agents”. 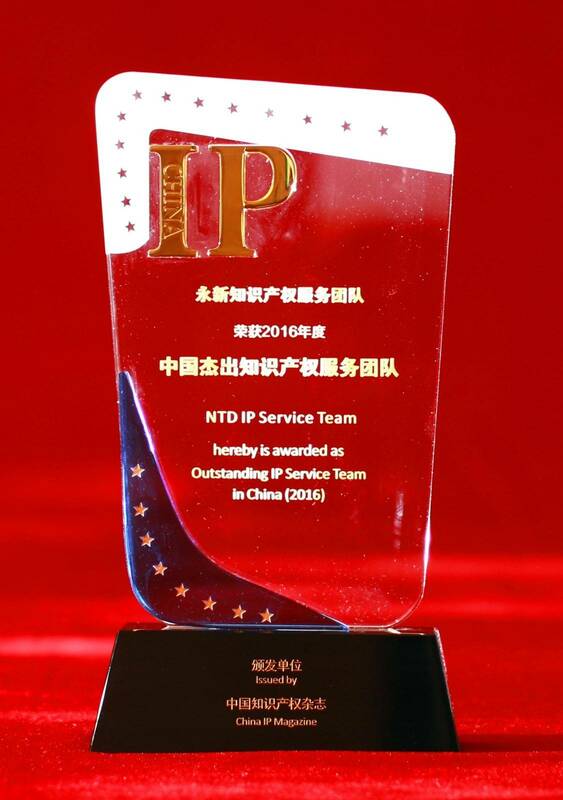 At "The 7th China IP New Year Forum and Annual Conference of In-house IP Managers in China" held at Intercontinental Beijing Beichen from January 14 to 15, 2017, NTD team honorably won the award of "2016 China Outstanding IP Service Team".